Players should look out for online casinos with high-limit games. Reputable and safe banking methods so that you can deposit and withdraw your money from the online casino effortlessly. Becoming a VIP player requires that you deposit large and frequent amounts into a top reputable casino. Whether you win or lose the casino will recognise that you are a valuable player that makes frequent and sizeable deposits into the casino. Most online casinos work on a player points program. The number of points that you earn determine which band you fall under as a player. In order to land up in the VIP category you have to find out how may points you need in order to become a VIP. Most online casinos usually stipulate how players can get more points, but generally more points come when players make huge deposits into the casino. What Perks Do I Get from Casino VIP Programs? Becoming a VIP player at your favourite online casino will definitely make your online casino experience that much better. You will have tailor made benefits, thing such as higher withdrawal limits and wager requirements can be wavered for you as valued player. You receive the latest promotions and get endless gifts. 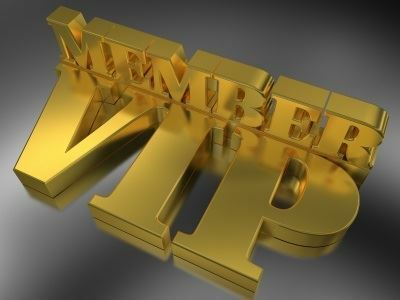 If you are a high roller and want to be appreciated, becoming a VIP player is your best bet. We recommend the following casino if you are a high roller and looking for the best VIP Programs around. Some casinos offer players VIP programs that have very few benefits and perks. The following casinos will definitely have you feeling and playing like a VIP. Make sure you read all of the terms and conditions for each casino to make sure you know the process. Head over to PlayAmo Casino, where they know how to make you feel like a high roller! You will pick up CPs, which are special points, and you receive these points simply for making bets. There are 10 levels to their VIP program, starting off with entrance to the club, which you receive for your first CP, up to 49 CPs. When you get up to 50 CPs, you will receive 15 free spins. For 200 CPs, 50 free spins; 600 CPs, 150 free spins; 1,500 CPs, 125 free spins. Then, it turns into money, which we ALL love. You get 50 Euros for 4,000 CPs, 200 Euros for 15,000 CPs, and 1,000 Euros for 200,000 CPs, and 10,000 Euros for 750,000 CPs. But that’s not all. For a whopping 5,000,000 CPs, you will receive….a Ferrari 488 GTB! For more, check out our PlayAmo casino review. The JokaRoom Elite is a level you should aspire to reach to as an online casino player. JokaRoom rewards its players based on three concepts: Loyalty, Value and Frequency. The requirements are established by how much you play, how much you deposit and the number of days you play, among other factors. But once you get into the program, you get access to exclusive bonuses, there is no maximum bet and you can take out as much money as you want. You will also jump the line for withdrawals, because JokaRoom values your loyalty. It also helps that JokaRoom has a fantastic assortment of games, which you can read more about in our JokaRoom casino review. Kahuna Casino’s Explorers VIP Program can be very lucrative for Australian players. You receive Exploration Points for each bet you make, to get to a certain status and unlock achievements. After 1,000 points, you become a Junior Explorer, and you get 20 free spins. For 2,500 points, you move up to Chief Explorer and get 50 free spins. After 5,000 points, you are a Master Explorer and get 100 free spins. Next is 10,000 points, and you become a Trailblazer with a $50 free chip. A Pathfinder is what you are after 20,000 points, and you receive a $100 free chip. For 35,000 points, you are a Discoverer and you get a $150 free chip. Finally, you are a Big Kahuna after 50,000 points, and you get a $500 free chip. But you also gain access to the VIP status, where you receive more bonuses, increased withdrawals and more. Our Kahuna Casino review will give you more information on this casino.